Galactic Blast VBS – Yoga for Kiddos! Here are the preschoolers, enjoying one of the poses from the book, “Black bear, black bear, what do you see?”. We are doing in this one is the Red Bird Pose, flying around in our Yoga nest. I had several helpers for this large class. (Thanks Tamara & Leon & Recreation Helpers!!) After each pose, I’d pipe in and say, “Criss Cross Applesauce”, to indicate coming back to their place on the yoga mat. There were so many kiddos, that there were 2 to 3 kiddos seated on the yoga mats. Reading the story book and doing the poses worked well with this yoga bunch! p.s. 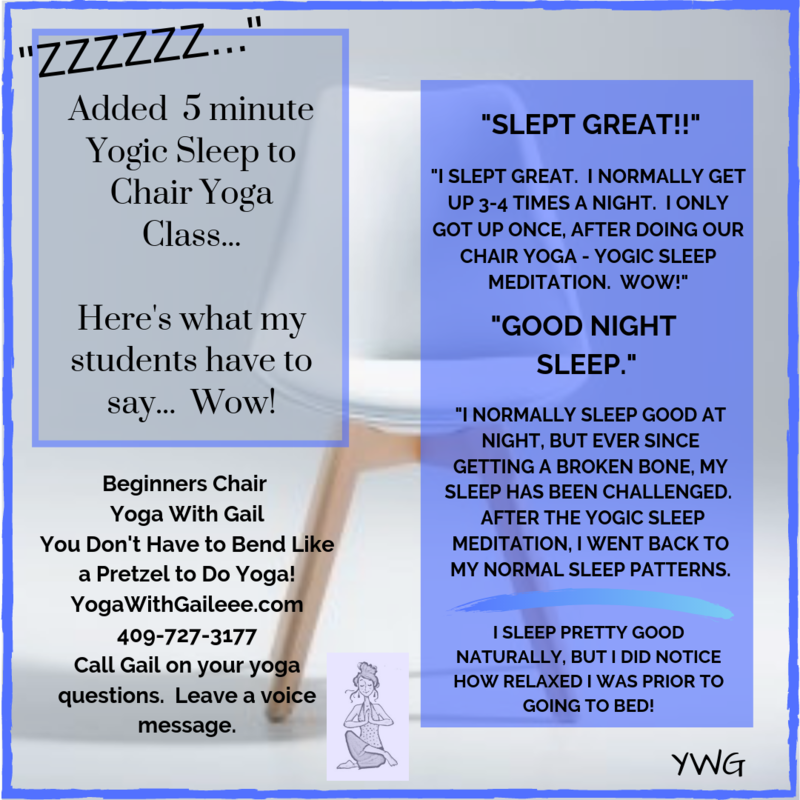 Check out my Yoga for Kiddos Blog! 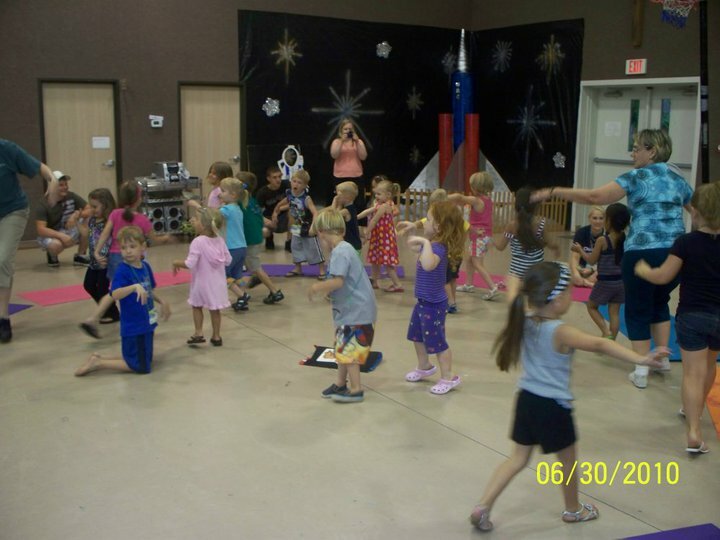 This past week at Vacation Bible School, I did Noah’s Ark ABC Yoga for Children. “Brown Bear, Brown Bear What Do You See” book, Bill Martin, Jr (the author) and Eric Carle (the illustrator) of this book. This was a book suggested and class demonstrated by Shana Meyerson, of the “mini yogis” Teacher Training, that I took back in May. It worked out very well. I’m glad I had lots of assistants though, as over 12 kiddos is hard to manage. For the older groups of children (Kinder and 1st, 2nd and 3rd graders), I did the Galactic Blast VBS Bible verse, but before we blasted off into our rocket ship, we had to gather the Earth’s animals onto the ship, just like in the olden times with Noah and the ark. We did yoga poses for the 26 different ABC animals. Ever try to do a pose for an armadillo? Kiddos had a great time, hope to get some photos to share later on of the event. Again, glad to have lots of assistants. We when finished our pose, it was criss cross applesause, back to our yoga mat! Photos of Grace from first Blog. Last Day of Amber in Texas…. New Photos of the family! Grace’s new word….Bye Bye, See You Later! Big bye bye waves, and a kiss! Smack! Hurricane/Tropical Storm a coming! More later!